I, like many people, find myself spending a lot of time researching European vacation ideas and planning trips - the first step of which is of course deciding where to go. Countless times I have found myself with the same question: where to spend one week in Europe? It seems like I am always on the hunt for one week vacation ideas. Here are 24 perfect one week Europe itinerary options! Looking for more trip ideas? Click here for 10 European towns I think every traveler should visit and here for the best Italy itinerary! Before we get into the Europe itineraries, let’s talk about planning tools! As a full time traveler with a LOT of experience planning trips, I have a handful of sites and tools that I cannot live without. They save me money, time, and frustration - all of which are very important for me and should be to you, too. COMFORTABLE SHOES. I consider comfortable walking shoes to be THE most important packing item for Europe. This is because you will almost certainly be doing a ton of walking. My very favorite travel shoes are M. Gemi’s white leather sneakers. I literally never go anywhere without them. You can wear them all day everyday for weeks straight and not once will your feet hurt. They are the only shoes I have ever found that are this way (and trust me - I have tested out a LOT). Click here to see latest prices. Because they are luxury, handmade shoes they are not the cheapest option out there but they are 100% worth it. Since they are handmade they are incredibly durable and comfortable beyond words right out of the box. If you have ever found yourself in the middle of a trip with sore feet, I cannot recommend these more. They're also great for travel because of their versatility. You can wear them with pants, dresses, skirts - anything! Click here to see latest prices. I love them so much that I even have a blog post dedicated entirely to them! If you want more info, click here for why they're the most comfortable and stylish walking shoes for travel. NO-SHOW SOCKS. To go with the above mentioned shoes! I have tried so many different ones and find that most fall down but these do not. Click here for the ones I love. WALKABLE SANDALS. Warmer weather is rapidly approaching so it's time to start breaking out the sandals! You must, however, make sure they are incredibly walkable and wellmade so that you don't wind up in the middle of your trip with torn up feet. In my opinion, shoes are something you should absolutely spend a little more money on. Click here for my favorite pair. Click here to see a full list of my travel shoe recommendations. COMFORTABLE LEGGINGS. I always bring a pair of leggings or two when I go to Europe because they are so multi-purpose. You can workout in them, travel in them, even sleep in them. Alo’s high waisted ones are the very best and the only ones I buy. Click here to check them out. JEANS. Not all jeans are created equal and THESE are the best of all time. Click here to see the latest prices. They’re called “legging” but they aren’t — they’re jeans. You will never believe how comfy they are! LIGHTWEIGHT TRAVEL CARDIGAN. Barefoot Dreams’ circle cardigan is honestly one of the best travel-related purchases you can make. It is so warm and soft; I’ve brought mine on every single trip since purchasing it. It's also fantastic for transit days and hotel lounging! Click here to see the latest prices. SUNDRESSES. Spring is here and summer is rapidly approaching which means it is sundress time! I especially love midi dresses for travel because you don't have to worry about them blowing up and they keep you a bit warmer than a mini. There are a handful of places I love to shop for them - click here, here, and here! Before a trip I usually buy a few new bright ones, while also packing a few neutral colored ones. The reason for packing a few neutral colored ones is that you can wear them more than once (preferably paired with different accessories) without it being obvious. Midi skirts are great too! Click here for the one I literally bought in every color (it is THE BEST!). JACKET. The weather is still heating up in Europe so do not forget a good jacket! There are three different options I recommend: a jean jacket (click here for my favorite one), a leather jacket (click here for one that is similar to mine), and a suede moto jacket (click here for the one I have in three different colors)! CONVERTER ADAPTER. This one is universal and works no matter where you’re going so it’s a must. When going to the EU I also bring along this very inexpensive 6 pack so that I have extras. So much to charge these days! Need other recommendations? Click here to see my list of 20 must have travel products from Amazon Prime. BLACK PASHMINA. A total lifesaver! It folds up small so you are able to easily throw it in any bag and it weighs basically nothing. However, because of the material it is capable of keeping you surprisingly warm in situations where you have mistakenly underestimated the weather. You can wear it as a scarf, wrap it around your body like a shawl, use it as a blanket on cold planes or trains, etc. - it serves so many purposes. I recommend a black one because black goes with everything and if it gets dirty along the way it will be way less noticeable. Pro tip: if you’re only bringing a small cross body bag with room for your wallet, tie it to the strap! Click here for an inexpensive and highly reviewed option. It now comes in camel color that I have been drooling over! SUNGLASSES. Of course! Click here for my round Ray-Bans, click here for my all time favorite black on black Ray-Bans that are often hard to track down because they sell out consistently, and for a pop of color click here for my current obsession (as I'm sure you've seen on my Instagram!). STYLISH CAMERA BAG… if you are bringing a camera! You can’t go to Europe with anything that isn’t chic ;) Since pickpocketing is a thing there I bring GATTA’s Christie camera backpack (named after me) because it’s hands free, has a zipper AND a buttoned flap, and fully protects my camera yet is so cute no one will ever know it’s a camera bag. Click here to see the latest prices. Want to see more options? Click here for the most stylish camera bags for women! LEATHER TOTE. I never, ever, ever travel without my Cuyana Leather Zipper Tote. It holds so much yet never feels as heavy as other bags! I even like it more than my Louis Vuitton Neverfull which cost 5X as much. Click here to check it out. AN INSTAGRAMMABLE HAT. Good for both avoiding doing your hair and also to help make photos pop! This time of year wool is the best option. Click here for the one I just bought. FACIAL SPRAY. For hydration. Missha’s essence mist is the best because it contains fermented yeast extract which delivers vitamins, amino acids, and minerals to actually refresh, renew, and rejuvenate skin! It’s also conveniently available in travel size. Click here to see the latest prices. REUSABLE WATER BOTTLE. Please pack a reusable water bottle and do not buy single use water bottles! Hydro Flask is the best because it keeps your drink cold (or warm). So worth the investment. Click here to see the latest prices. SILK SLEEP MASK. To block out light on the plane and in the hotel. I bring this always and am especially thankful for it when I find myself traveling with someone who wants to stay up later than I do. Silk is anti-aging and great for your skin which is why it must be silk! Click here for the one I use and love. FACE MASK. I always bring Summer Fridays Jet Lag Mask because the container is perfect for travel, it’s ultra-nourishing, and doesn’t look crazy when on. You can even apply it as a primer under your makeup if you are extremely dry! Click here to see the latest price. SHEET MASKS. Sheet masks are the best for traveling because they provide a huge hydration boost and are so easy to throw in your bag. The Skinfood Hydro Fitting Snail sheet mask is my current #1 obsession. It’s drenched in snail mucin which is healing, firming, encourages cell regeneration, and replenishes moisture. Click here to see the latest price. HANGING TOILETRY BAG. I keep this filled at all times with every toiletry I need for any trip. That way it’s so easy to just grab and throw in my bag without any thought or worries of forgetting something important. This one in particular is the absolute best I have ever found. So much so that pretty much anytime I travel to visit a friend and they see this toiletry bag they ask who makes it and go buy the same one themselves immediately! Click here to get one yourself. It's gotta be that exact one, I have tried others are they are not sufficient! Want to know what I fill the toiletry bag? It's my #1 time-saving packing tip! Click here for more info. TRAVEL STRAIGHTENER. A travel hair straightener is a good thing to have if you want to be able to do your hair but don’t want to commit to lugging around a full size (and much more pricey) straightener. T3 makes a good compact one that is perfect for travel. It even has auto-world voltage! And of course if you are really skilled a straightener can double as a curling iron so it’s kind of a 2-in-1. Click here to see the latest prices. SUNSCREEN POWDER. In addition to religiously applying SPF each morning, I highly recommend keeping Colorescience Sunforgettable Loose Mineral Sunscreen Brush on hand for touch-ups later in the day or to apply over it. It’s an SPF mineral powder that comes in a self-dispensing brush, making it perfect to keep in your purse or makeup bag. It’s also jam-packed with minerals, vitamins, red seaweed extract, and other amazing things to keep your skin flawless. You can get it with a tint or without and in a variety of different SPF levels. I kid you not when I say my grandma, my mom, myself, my best friend, my best friend’s mom, and even my dermatologist use and love this! Click here to see the latest prices. Click here for a full packing list + free printable packing checklist. Positano on the Amalfi Coast and Rome make the perfect European itinerary. If you know me personally or follow me on Instagram then you know that there is nothing I love more than Positano on the Amalfi Coast. John Steinbeck was once quoted saying “Positano bites deep. It is a dream place that isn’t quite real when you are there and becomes beckoningly real after you have gone.” and I really could not agree more. It is a place you have to see to believe and even then you will hardly believe it is real. If there’s one place that I recommend you visit, it’s this. If you plan to head here or just dream of doing so, I have all of the necessary information to help plan your entire trip! I’ve visited numerous times and made friends with locals during each visit. Because of this my recommendations are not the typical touristy things but actual things that locals do and recommend. Check out the “helpful resources” section below for everything you need to plan your Amalfi Coast trip. Don’t miss the free downloadable travel guide, too! Roma, the lively capital of Italy, is full of rich history and a vibrant social scene and a logical stop after the Amalfi Coast. Home of the Colosseum, the Roman Forum, Michelango’s Sistine Chapel and so much more, you will more likely run out of time than of things to do here. HOW TO GET THERE: Fly into Rome. Click here to find the best flight deal. GETTING FROM ROME TO POSITANO: To get to Positano you will need to take a train to either Naples or Salerno and then take a cab or ferry to Positano. Click here to see the latest prices for trains. For how to get to Positano after the train ride, click here for a very detailed post with all of the details. In Positano, Dimora del Podesta. Click here to see the latest prices. I also love and highly recommend Hotel Poseidon. Click here to see the latest prices. In Rome, Portrait Roma. Click here to see the latest prices. For more Positano/Amalfi Coast recommendations, click here for where to stay on the Amalfi Coast. In Portugal, Lisbon and Lagos make for the perfect one week Europe itinerary. If you've been to San Francisco and enjoyed it, odds are you'll love Lisbon as well. Often called the San Francisco of Europe, it's known for having delicious food, many hills, and even it's own Golden Gate Bridge look-a-like! It has become extremely popular in recent years and is a must see. Lisbon is another place that I consider myself an expert of. Below under “helpful resources” I have covered in great detail everything you need to plan your trip there. Don’t miss the free downloadable travel guide, too! South of Lisbon by about 300 km lies the beautiful beach town of Lagos in Portugal's Algarve region. If you have ever been on Pinterest before then you have likely seen a photo or two of it's well-known cove, Praia do Camilo. Lagos offers amazing beaches, a charming (but small) historic center, and a bit of a wild nightlife. Together Lisbon and Lagos make a perfect Europe itinerary! For more itinerary information, click here for the best Portugal itinerary. HOW TO GET THERE: Fly into Lisbon. Click here to find the best flight deal. GETTING FROM LISBON TO LAGOS: Take a train from Lisbon to Lagos, duration ~3.5 hours, or drive for around ~2 hours 45 mins. Do this now because trains in Portugal will fully sell out! I’m unfortunately speaking from experience :) Click here to see the latest prices. In Lisbon, I highly recommend staying in an Airbnb. Click here for 8 Lisbon Airbnbs I recommend. In Lagos, Casa Mae. Click here to see the latest prices. 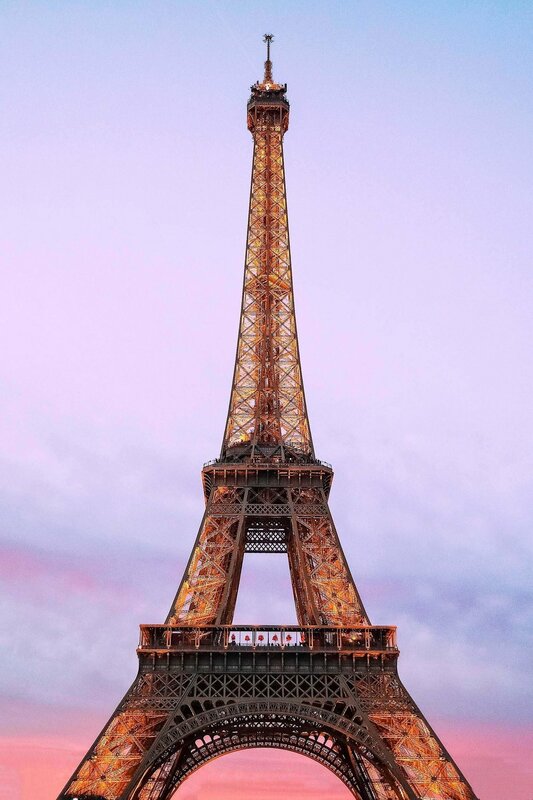 Paris and London make for a great one week Europe trip not just because they are absolutely fabulous but also because they are major transportation hubs. There’s a famous saying “Paris is always a good idea” and for good reason - it’s absolutely magical year-round. It is one of the most beautiful and romantic cities in the world and a place full of endless things to see and do. If you are looking for history, culture, art, fashion, and amazing food, Paris is for you. Paris is a place I have visited countless times and gotten to know very intimately. If you do plan to visit Paris you will find below under “helpful resources” an incredibly thorough amount of posts about Paris - everything you need to plan your trip. Don’t miss the free downloadable travel guide, too! Similarly, London also offers all of the above and is also a major transportation hub, making it very easy (and often cheap-ish) to get to. If you want to visit two great places while minimizing travel time, this itinerary is a wonderful option! Paris and London are so great that you could even extend this to be a 10 day Europe trip if you have the time. HOW TO GET THERE: Fly into Paris (or London). Click here to find the best flight deal. GETTING FROM PARIS TO LONDON: The easiest way to get from Paris to London is by train which takes ~2.5 hours. There are an average of 16 trains per day, leaving once per hour. Click here to see the latest prices. You should absolutely book this in advance, prices get very expensive last minute! In Paris, Le Pavillon de la Reine. Click here to see the latest prices. Want an Eiffel Tower view? Click here to see the best hotels and Airbnbs with Eiffel Tower views! Looking for a more local experience? Click here to see 8 Airbnbs in Le Marais you must stay in. The Hoxton Paris is also a good choice. Click here to see the latest prices. In London, the Hoxton Holborn. Click here to see the latest prices. If you’re looking for one week European itineraries in Scandinavia, Copenhagen and Stockholm are an excellent options. Copenhagen, the capital of Denmark, is a lively, fun, and colorful city worth checking out! There is delicious (healthy!) food, great shopping, and a lot to see and do. Plus it is consistently ranked as one of the happiest cities in the world - how can you say no to that? Make sure to rent a bike and do as the locals do! From Copenhagen, Stockholm is an excellent second stop. It too is full of healthy, delicious food, and beautiful sights. Don't miss colorful Gamla Stan (their old town). PS. If you have 10 days in Europe (or more), add on Gothenburg, Sweden! It’s one of my favorite places in the world. HOW TO GET THERE: Fly into Copenhagen. Click here to find the best flight deal. HOW TO GET FROM COPENHAGEN TO STOCKHOLM: The easiest way to get from Copenhagen to Stockholm is via train, which takes around 5 hours. There are an average of 5 trains per day, leaving around every 3 hours. Click here to see the latest prices. In Copenhagen, Axel Guldsmeden. It is absolutely beautiful and perfectly centrally located! Click here to see the latest prices. In Stockholm, Hotel Skeppsholmen. Click here to see the latest prices. Switzerland is without a doubt one of the most beautiful countries in the world and the perfect addition to any Europe trip itinerary. It has history, beautiful lakes, jaw-dropping mountains, charming villages, and chocolate and cheese! How can you say no to that? Sounds like the best one week Europe vacation to me! Lucerne is a beautiful city located on Lake Lucerne, just south of Zurich. Known for it's well preserved medieval architecture, colorful old town, and flower-covered Chapel Bridge. After Lucerne head to one of my favorite places of all time (really!). Interlaken, a resort town situated between Lake Thun and Lake Brienz, is known as being the outdoor sports capital of Europe and is one of the most beautiful places I have ever laid my eyes on. It’s also the gateway to two additional bucket list-worthy villages - Lauterbrunnen and Grindelwald. 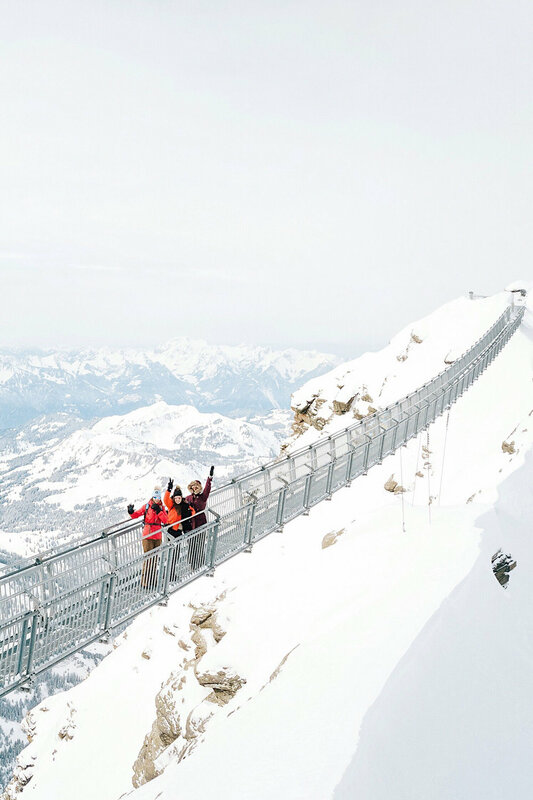 Don't miss a day trip to Jungfrau, known as "The Top of Europe", either! Europe in a week can feel rushed but not this itinerary. These cities are very close together plus the Swiss Train System is one of the best in the world so it’s a breeze. HOW TO GET THERE: Fly into Zurich then take a train to Lucerne. Click here to find the best flight deal. 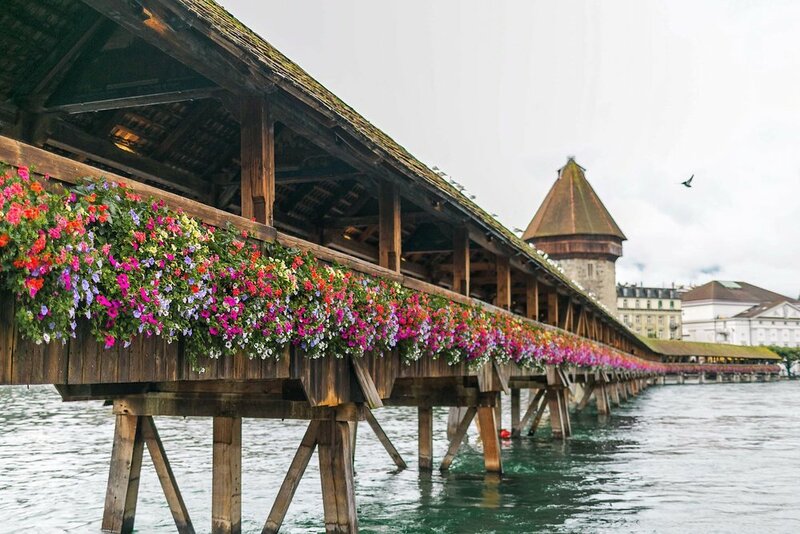 GETTING FROM LUCERNE TO INTERLAKEN: The train ride between Lucerne and Interlaken is one of the prettiest in the world and therefore there's no better way to travel between the two. There are approximately 10 trains per day on average. Click here to see the latest prices. In Lucerne, Cascada Hotel. Click here to see the latest prices. In Interlaken, Victoria Jungfrau Grand Hotel & Spa. Click here to see the latest prices. For my preferred 1 week Europe itinerary in the Netherlands, visit Amsterdam, Haarlem, and Utrecht. Amsterdam, the capital of the Netherlands, is an undeniably beautiful town built on an elaborate canal system like you have never seen before. Per square meter, it is home to more museums than any other city in the world! 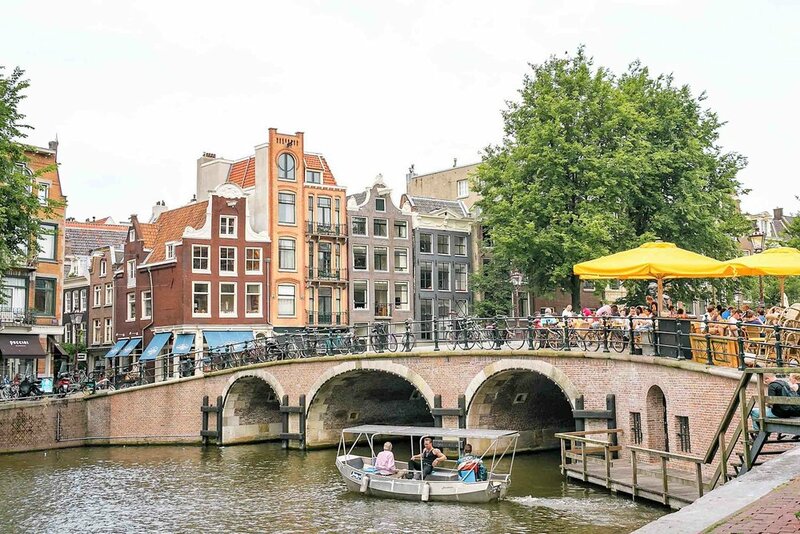 In addition to museums and canals it offers history, beauty, waffles, the infamous Red-light District, and a city full of bike paths if you are brave enough to give cycling a go. A day trip away, beautiful Haarlem is a medieval town full of cobblestone streets, famous for its tulip fields. Utrecht, a lesser known town in the Netherlands, is a city in the central part of the country. It has a popular medieval old town, canals, and was once named one of the world's most overlooked places by Lonely Planet. 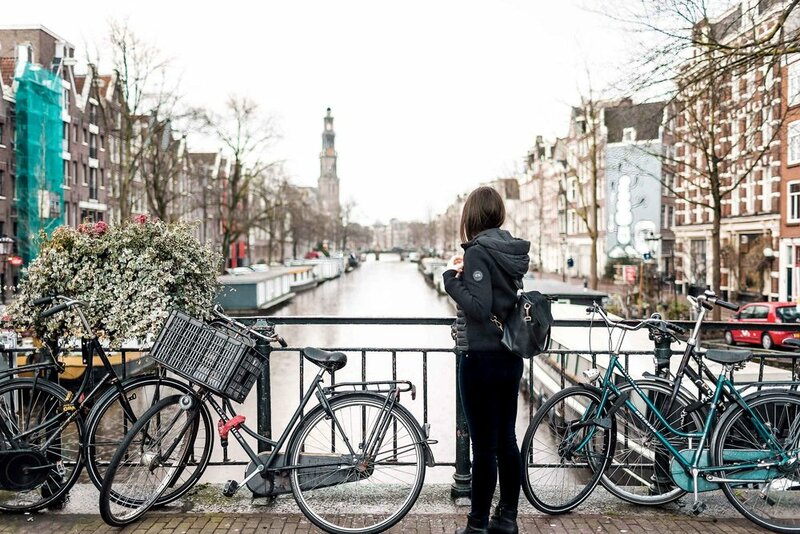 HOW TO GET THERE: Fly into Amsterdam. Click here to find the best flight deal. GETTING FROM AMSTERDAM TO UTRECHT: Travel by train which takes ~30 minutes. There is an average of 46 trains a day between Utrecht and Amsterdam, leaving approximately every 41 minutes. Click here to see the latest prices. In Amsterdam, Pulitzer Amsterdam. Click here to see the latest prices. Or if you want something less expensive and with a canal view (if you book that room type), I really like the Amsterdam Wiechmann Hotel too. Click here to see the latest prices. Interested in a more local experience? Click here for the best Amsterdam Airbnbs. You cannot ever go wrong with Italy and Lake Como and Venice are no exception! These three together make for the perfect Europe 1 week itinerary. The floating city is one of the most unique cities in the world and a place that should not be missed. 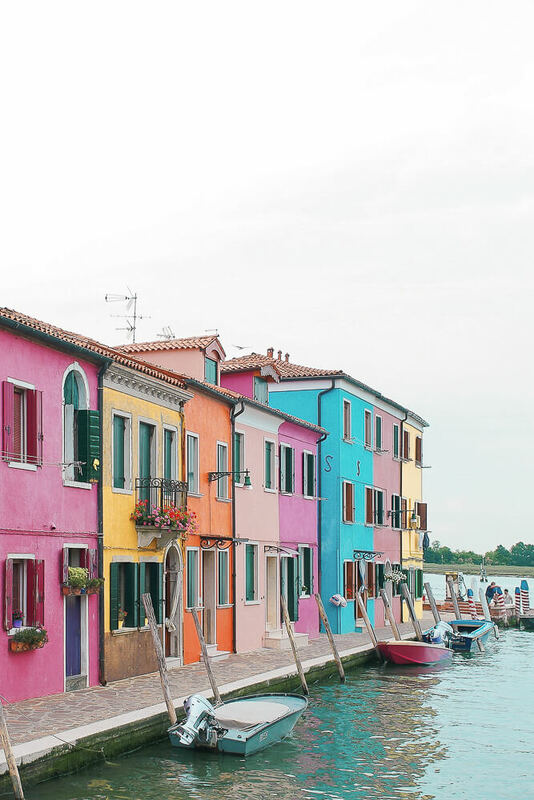 It has no roads and is instead made up of canals full of boats and gondolas taking lovers and friends on scenic rides through the almost-unreal landscape. It's also rumored to be sinking, so you better get there before it's gone! 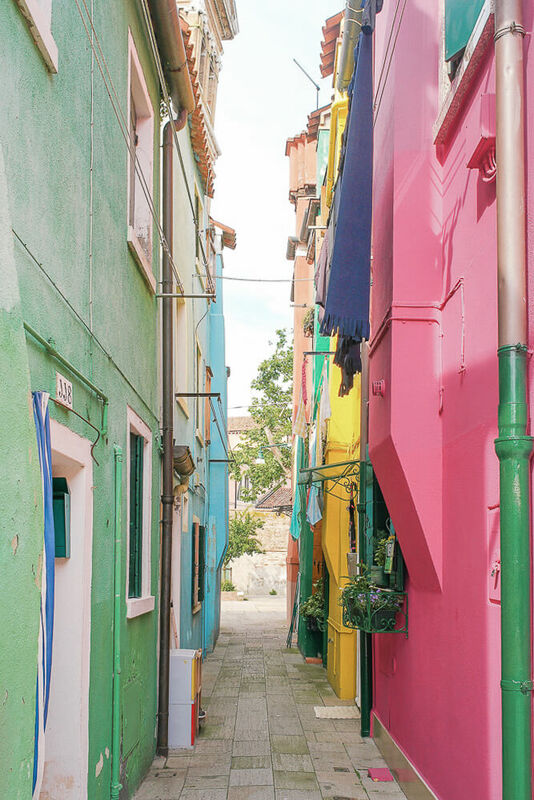 From Venice you can also easily visit Burano, the most colorful town in Europe. Lake Como is a lake located in northern Italy, very close to the border of Switzerland, and just 3 hours from Venice by train. It is a popular upscale area, known for its dramatic beauty and being the home of George Clooney. The lake is home to many towns including Bellagio, Como, Tremezzo, Varenna, and Lecco to name a few. It is beautiful, glamorous, relaxing, and I find it to be very unique to the rest of Italy. HOW TO GET THERE: Fly into Venice. Click here to find the best flight deal. GETTING FROM VENICE TO LAKE COMO: Travel by train from Venice to Varenna, duration ~3.5 hours. Click here to see the latest prices. In Venice, Hotel American-Dinesen. Click here to see the latest prices. In Bellagio (Lake Como), Hotel Centrale. Click here to see the latest prices. Hoping for a Europe travel itinerary that includes Germany? This one is for you! Munich, the capital of Bavaria, is most famous for it’s annual Oktoberfest celebration but is actually much more than that. 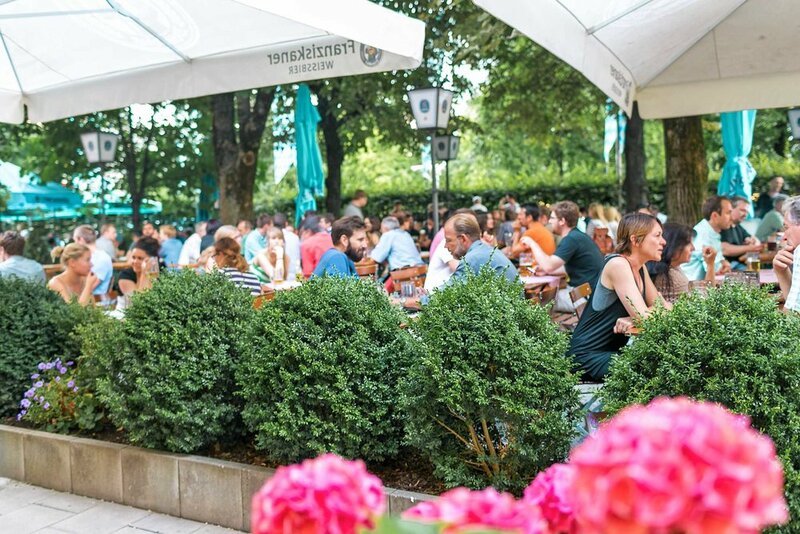 It has beautiful parks, interesting (and often horribly sad) history, and lively beer halls and outdoor beer gardens which are a blast even outside Oktoberfest. Don't miss Neuschwanstein Castle! Rothenburg, also in Bavaria, is an absolutely charming German village most famously known as being the inspiration behind the village in Disney’s Pinocchio. It is a well-preserved medieval town perfect for a day of exploring and photo taking. From Rothenburg head to Heidelberg, another beautiful German town filled with cobblestone streets, adorable restaurants and cafes, and the magnificent Heidelberg Castle. HOW TO GET THERE: Fly into Munich. Click here to find the best flight deal. GETTING FROM MUNICH TO ROTHENBURG TO HEIDELBERG: It's possible to get from Munich to Rothenburg via train but it requires many stops (2-3) and therefore a car is likely your best bet. Same goes for Rothenburg to Heidelberg. Click here to see the latest prices. In Munich, Hotel München Palace. Click here to see the latest prices. In Rothenburg, Mittermeier Hotel. LOVE this place! Click here to see the latest prices. In Heidelberg, Boutique Hotel Heidelberg Suites. Click here to see the latest prices. The best Europe itinerary? The Greek islands are such a popular destination that I'd be more surprised if you hadn't already considered this as an option. Although Mykonos and Santorini are beautiful, I would actually recommend venturing off the beaten path to some of the smaller, less touristy islands for your 1 week Europe trip. Milos is very up and coming yet still mainly untouched. Get to it before all of the tourists do! Hydra, which is completely wheeled-vehicle free, is a true gem. Wander the beautiful streets, shop in the dozens of stores lining the port, try a Greek iced coffee while people watching, eat dinner at Sunset Restaurant, and then grab a drink at Omilos. Porto Heli is worth a visit even if just to spend a day relaxing at the glamorous Nikki Beach. And Ermioni, although incredibly small, is a nice place to spend a few hours exploring. Do not miss a drink at Cavo Bianco! HOW TO GET THERE: Fly into Athens then take a ferry or boat. Click here to find the best flight deal. GETTING AROUND THE GREEK ISLANDS: By ferry or boat. In rare cases during peak season and to only certain islands you can also fly. In Hydra, Leto Hotel. Click here to see the latest prices. In Porto Heli, Nikki Beach Resort & Spa (seriously, don't miss this). Click here to see the latest prices. If you are a regular reader of mine then you know how much I love both of these spots. Manchester and London together are a great combo for a 7 day Europe trip! 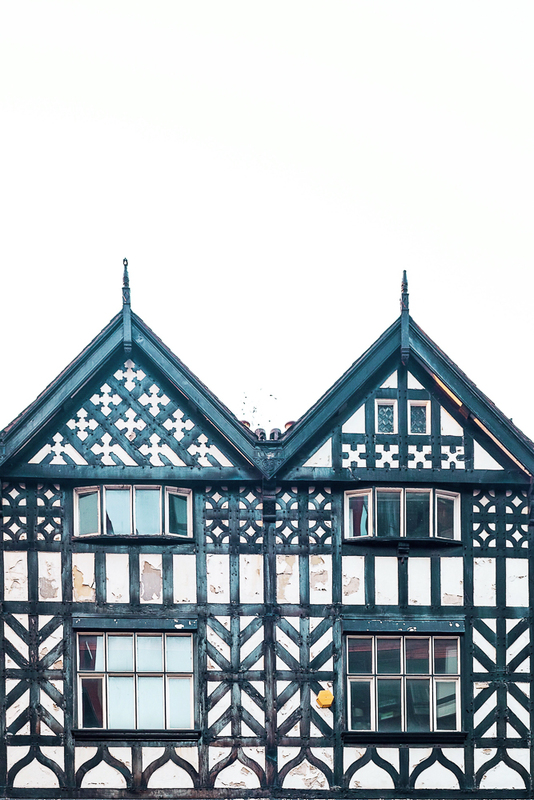 Manchester, often overlooked although I'm not sure why, is a city just 2 hours north of London. It is lively and full of character, offering something for everyone from sports and music to art and history. Similarly, London also offers all of the above and is also a major transportation hub, making it very easy (and often cheap-ish) to get to. HOW TO GET THERE: Fly into Manchester (Virgin Atlantic offers direct flights from a handful of American cities now!). Click here to find the best flight deal. HOW TO GET FROM MANCHESTER TO LONDON: Manchester is located just 2 hours from London via train. The route is very popular, with 36 trains between the two per day. Click here to see the latest prices. In Manchester, King Street Townhouse Hotel. It’s extremely lovely! Click here to see the latest prices. 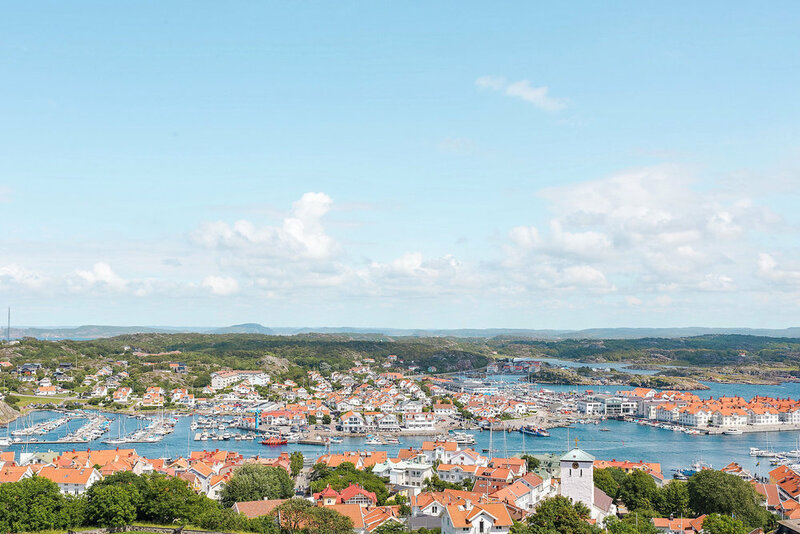 If you are a fan of the outdoors, fresh seafood, culture, and road trips, then Gothenburg and West Sweden is where you should go for your one week itinerary Europe. Gothenburg is Sweden’s second-largest city, located on Sweden’s west coast just south of Norway, north of Denmark, and a few hours from Stockholm. It is known for being the birthplace of Volvo, founded in Gothenburg in 1927, as well as for it’s gastronomy and for being one of the centers of music, art, and literature in Sweden. The area known as West Sweden surprisingly does not include the entire west coast of Sweden, but is instead the area from just outside Gothenburg all the way up to the Norwegian border. It includes thousands of islands (over 8,000 I believe!) and is known for having some of the best seafood in the world and being an outdoor enthusiast’s dream. I really cannot rave about them enough nor can I recommend a more beautiful spot for a road trip. PS. Looking for a 10 day Europe trip itinerary? You could easily extend this to be longer than one week! HOW TO GET THERE: Fly into Gothenburg. Click here to find the best flight deal. In Gothenburg, Gothia Towers (and don’t miss the spa!). Click here to see the latest prices. Marstrand Havshotell on Marstrand. Click here to see the latest prices. Slussens Pensionat on Orust. Click here to see the latest prices. Salt & Sill on Tjörn. Click here to see the latest prices. If you have ever wanted to hop right into a fairytale, then Colmar, France is where you should start your 1 week in Europe. Think colorful medieval buildings and cobblestone streets lined on a beautiful canal. It's also part of the Alsatian Wine Route which is a road connecting the main Alsace wine producing regions. From Colmar head to Strasbourg, another French town in the Alsace region. Since it's located very close to the German border, it is in unique in that it has both French and German influences. Although it has cold and snowy winters, it seems magical even in December during the Christmas markets, making it the perfect France itinerary 1 week year-round! HOW TO GET THERE: Fly into Strasbourg or take a train from Paris or Zurich. Click here to find the best flight deal. GETTING FROM COLMAR TO STRASBOURG: Drive (~53 minutes) or take a train (~25 minutes). Colmar to Strasbourg is a very common train route with an average of 29 trains a day, leaving approximately every 36 minutes. Click here to see the latest prices. In Colmar, James Boutique Hotel. Click here to see the latest prices. In Strasbourg, Cour du Corbeau. Click here to see the latest prices. Looking specifically for an eastern Europe itinerary 1 week? Located in Eastern Europe, Prague and Budapest offer a great introduction to the eastern side of the continent if it is new and of interest to you on your Europe itinerary 1 week. Prague is beautiful with its red roof tops and is often compared to Paris for its stunning beauty. It's also said to have the best beer in all of Europe! Don't miss its magnificent Old Town Square and make sure to go up the Astronomical Clock for the best views in the city. Hungary's capital, Budapest, is another Eastern Europe hot-spot and was even ranked the world's second best city in 2013 by Conde Nast. It offers a little bit of everything and is a great second stop on a visit to Prague. Don't miss the thermal baths and if you're up for an adventure, try it at night! HOW TO GET THERE: Fly into Prague or Budapest. Click here to find the best flight deal. GETTING FROM PRAGUE TO BUDAPEST: My recommendation would be to take the overnight train from Prague to Budapest. That way you travel while sleeping, it's your hotel for the night, and it's fun! Click here to see the latest prices. In Prague, Aria Hotel. Click here to see the latest prices. In Budapest, Aria Hotel. Click here to see the latest prices. If you are looking for Europe trip ideas that involve beautiful blue waters, ancient towns, and island-hopping, Croatia is a fabulous option especially if you are a seafood fan! Croatia, an Eastern European country on the Adriatic Sea, has over 1,000 islands of varying size and popularity. While there are so many different islands worth visiting, a few of my favorites that I would recommend include: Hvar, Vis (Komiza, Milna), Palmizana. And don't miss the blue cave on Biševo. The perfect place to spend a week in Europe. HOW TO GET THERE: Fly into Split and take off from there by ferry or boat. Click here to find the best flight deal. An Iceland road trip is the perfect one week trip to Europe. And thanks to Iceland-based budget airline WOW air, flights there are now cheaper than ever! HOW TO GET THERE: Fly into Reykjavik. Click here to find the best flight deal. HOW TO GET FROM REYKJAVIK TO VIK: Road trip! In Reykjavik, at 101 Hotel. Click here to see the latest prices. On the way out of Reykjavik, Ion Adventure Hotel. Click here to see the latest prices. 7 days in Europe where to go? Puglia! Puglia is a beautiful region full of many picturesque towns in the southern region of Italy's "boot" and the perfect spot for your 7 days in Europe itinerary. It is very low key so a week here might be too long for some people but if you are looking for a relaxing week in a unique place this is a great option. Driving from one town to the next you will be likely be shocked at how different they are from each other - from Alberobello's trulli stone huts to colorful Gallipoli. Don't miss Cisternino and the famous white town, Ostuni, either! It’s the perfect spot for a 7 day road trip Europe - click here for the perfect Puglia road trip itinerary. HOW TO GET THERE: Fly into Bari. Click here to find the best flight deal. HOW TO GET AROUND: You gotta rent a car. Don't be scared, though, the roads are totally fine. The only not-so-fun part is parking so try to get the smallest car you can! WHERE TO STAY: Click here for where to stay in Puglia. When you find yourself with 7 days in Europe, beautiful Austria is a great place and one of the best Europe itinerary options! Salzburg, Austria is most widely known for being the birthplace of Mozart and the setting for the Sound of Music. If that's not reason enough to check it out, it's stunning old town is a UNESCO World Heritage Site and it's photogenic streets look out of a fairytale. And speaking of fairytales, Hallstatt is a jaw dropping village that you will without a doubt want to take a thousand pictures of. It sits alongside a lake lined with shops and cafes and has - my favorite - a funicular leading to a viewpoint above the lake. From there head to Vienna, Austria's capital and largest city. It offers tons of history including numerous imperial palaces and is known as the City of Music! HOW TO GET THERE: Fly into Salzburg. Click here to find the best flight deal. HOW TO GET FROM SALZBURG TO VIENNA: The easiest way to get from Salzburg to Vienna is via train, which takes around 2.5 hours. It is a popular route with around 39 trains traveling between the two per day. Click here to see the latest prices. In Salzburg, Hotel Schloss Mönchstein. Click here to see the latest prices. In Hallstatt, Seehotel Grüner Baum. Click here to see the latest prices. In Vienna, Hotel Sans Souci Wien. Click here to see the latest prices. For the best Europe trip itinerary, why not see two countries in one week? Antwerp is the second largest city in Belgium and is a picturesque gem! Known for it's diamonds, fashion, and historic city center, I read it described at Belgium's capital of cool on countless blogs while researching this. From Antwerp head to beautiful Brussels, capital of Belgium and also often referred to as the capital of Europe. Offering many museums, great shopping, and excellent restaurants, Brussels is a wonderful addition to any itinerary. It is split into several districts, each with their own unique characteristics and charm. Of course do not miss the Grand Place, one of the most beautiful city squares in all of Europe. If you happen to be there in August, every other year there is a "flower carpet" setup in the square. What's a flower carpet? Millions of flowers setup in patterns to make a 19,000 square ft carpet. And less than an hour and a half from Brussels lies Paris, making it the perfect last stop! There’s a famous saying “Paris is always a good idea” and for good reason - it’s absolutely magical year-round. It is one of the most beautiful and romantic cities in the world and a place full of endless things to see and do. If you are looking for history, culture, art, fashion, and amazing food, Paris is for you. HOW TO GET THERE: Fly into Brussels (or Paris). Click here to find the best flight deal. HOW TO GET FROM BRUSSELS TO PARIS: You can quickly and conveniently get to Paris from Brussels via train. The journey takes around 1.5 hours and there are an average of 27 trains per day between the two. Click here to see the latest prices. In Brussels, Hotel Amigo. Click here to see the latest prices. HELPFUL RESOURCES: See itinerary #3. If you are looking for 1 week vacation ideas more off the beaten path in Germany, look no further than Cologne. It is one of the oldest cities in Germany so it offers a ton of history and is located on the beautiful Rhine. Try a sightseeing tour on the river and do not miss the colorful Fish Market Square! From Cologne head to Luxembourg City, capital of Luxembourg (yup, that's a country) and second smallest country capital of the European Union. It is, according to their tourism site, "a lively and bustling capital with a lot of great touristic attractions to visit and a multitude of things to do". It is a beautiful and often overlooked city, perfect for wandering without being constantly surrounded by a gaggle of tourists. HOW TO GET THERE: Fly into Cologne. Click here to find the best flight deal. HOW TO GET FROM COLOGNE TO LUXEMBOURG: You can easily get from Cologne to Luxembourg via train. The trip takes about 3.5 hours. Click here to see the latest prices. In Cologne, Stern am Rathaus. Click here to see the latest prices. In Luxembourg City, Sofitel Luxembourg Le Grand Ducal. Click here to see the latest prices. Some of the best week long vacations can be found in charming Ireland! Dublin, the capital and largest city in Ireland, is a great place to start your week long Irish road trip. Next don't miss Dingle, a small but charming and photogenic port town with a famous dolphin named Fungie (ha). The picture above should speak for itself, I'd hope. Last but not least, head towards Galway, stopping by the Cliffs of Moher on the way. Galway is famous for being where the woman Ed Sheeran has his eye on is from in the song Galway Girl. Just kidding (kind of) - it's another small but charming town with lively restaurants, bars, and independent stores. HOW TO GET THERE: Fly into Dublin. Click here to find the best flight deal. In Dublin, The Shelbourne Dublin. Click here to see the latest prices. In Cork, Maryborough Hotel & Spa. Click here to see the latest prices. In Dingle, Heatons Guesthouse. Click here to see the latest prices. The walled city of Dubrovnik, also known as the Pearl of the Adriatic, is located in southern Croatia and is on the UNESCO list of World Heritage Sites. It is stunningly beautiful with lots of beaches, a delicious food scene, and a world famous Old Town dating back to the 11th century yet surprisingly still intact. From there head south to Kotor, a popular coastal town in Montenegro. It too has a magnificent old town as well as many museums, cathedrals, and winding streets perfect for getting lost in. HOW TO GET THERE: Fly into Dubrovnik. Click here to find the best flight deal. HOW TO GET FROM DUBROVNIK TO KOTOR: You can get from Dubrovnik to Kotor by driving which takes around 1 hour. There is also a bus option which takes a fair amount longer, around 3 hours. In Dubrovnik, Boutique Hotel Kazbek or Villa Dubrovnik. Click here to see the latest prices for Boutique Hotel Kazbek or here to see the latest prices for Villa Dubrovnik. In Kotor, Hotel Vardar. Click here to see the latest prices. The French Riviera is located on the southern part of France along the Mediterranean. It is known for it's pristine beaches and upscale, glamorous resorts. But the French Riviera is not just Saint Tropez and Cannes! There are so many towns to choose from, you may find yourself running out of time before you run out of options. Don't miss colorful Menton, Eze, Verdon Gorge, and Aix-en-Provence. HOW TO GET THERE: Fly into Nice. Click here to find the best flight deal. HOW TO GET AROUND: There are some buses and trains between the major towns but the easiest way is likely by car, either via a rental or by taxi. WHERE TO STAY: Depending on which town(s) you want to call home base, there are many different options - especially some beautiful Airbnbs. I strongly believe that the best one week vacations can be found in Switzerland, one of the most beautiful countries in the entire world! Zermatt is a charming mountain resort town most widely known for its skiing, climbing and hiking as well as for its iconic views of the famous Matterhorn. The entire village is car free, making it great for walking around and shopping at the many boutiques. It is small but memorable - I went in 1996 and often dreamt of returning before I finally made it back there last year! From Zermatt head to Gstaad, another extremely charming Swiss village and upscale resort town. It’s a popular destination for many, including a handful of famous celebrities like Julie Andrews, Salma Hayek, Valentino, and Elizabeth Taylor. 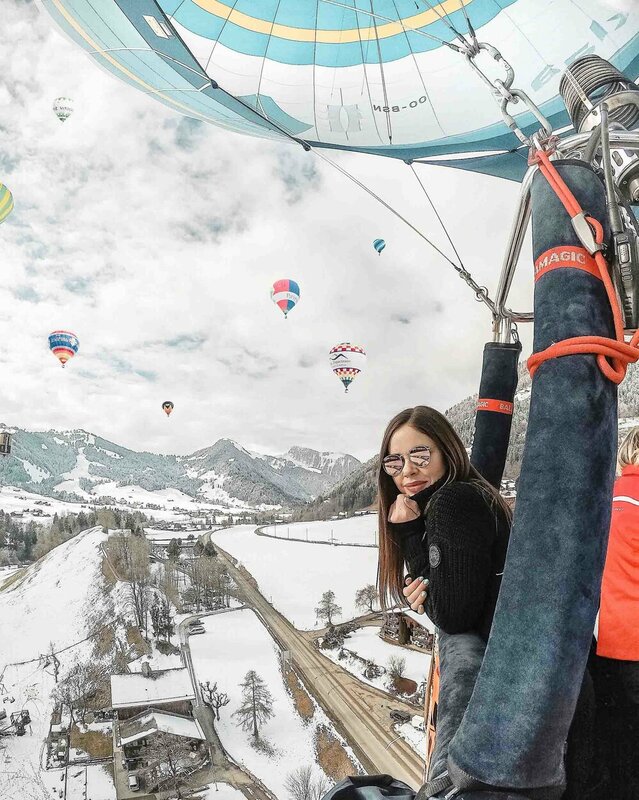 While there’s a long list of things to do in Gstaad, the most unique of which is the Fondueland experience. Click here to read about the fondue hike I went on there! If you find yourself there in January, stop by Chateau d’Oex for the International Hot Air Balloon Festival too! It’s magical. Click here for more info and my recap of the festival. HOW TO GET THERE: Fly into Zurich and take a train in. Click here to find the best flight deal. HOW TO GET FROM GSTAAD TO ZERMATT: The easiest way to get from Zermatt to Gstaad is by train. The trip takes around 3.5 hours. Click here to see the latest prices. In Geneva, Hotel Beau Rivage. Click here to see the latest prices. In Zermatt, Hotel Alex. Click here to see the latest prices. Another great Italy one week itinerary that includes a mixture of coastal beach towns and ancient cities is Cinque Terre and Florence. 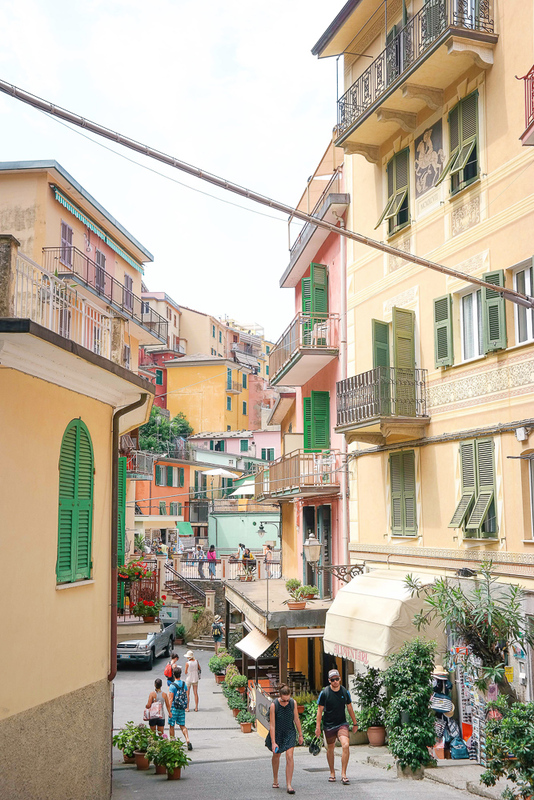 Cinque Terre, a string of five towns on the Italian Riviera, is known for its colorful seaside houses and rewarding hikes. As if that alone is not enough, it is also the birthplace of pesto and the seafood is as fresh as can be. If you like hiking and are looking for good photo opps, this is the perfect Euro trip itinerary spot! Florence, capital of the Tuscany region, is home to many famous museums, incredible architecture, and a vibrant nightlife. Often called the birthplace of the Renaissance, it is a popular destination for those interested in art and culture. This is another option that you could easily extend to be a 10 day Europe itinerary instead. HOW TO GET THERE: Fly into Florence. Click here to find the best flight deal. GETTING FROM CINQUE TERRE TO FLORENCE: Travel by train from Monterosso to Florence, duration ~2.5 hours. Click here to see the latest prices. In Cinque Terre, in an Airbnb! 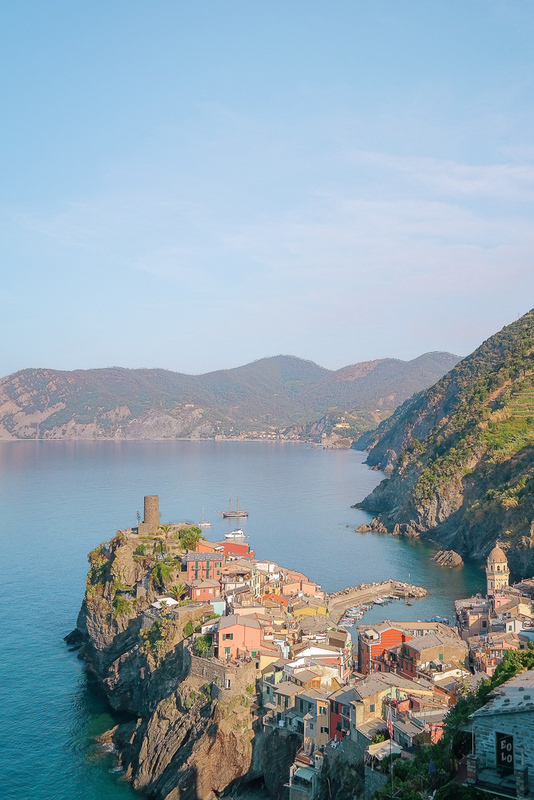 Click here for the 12 best Airbnbs in Cinque Terre. In Florence, Portrait Firenze Lungarno Collection. Click here to see the latest prices. Found these European Travel Itineraries helpful? PLEASE SAVE IT ON PINTEREST!